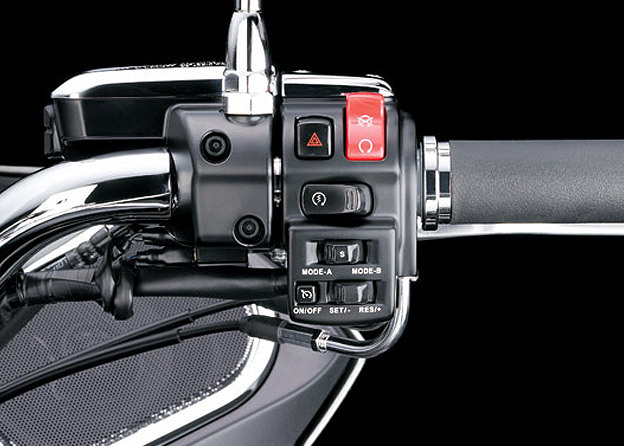 Electronic Cruise Control allows the rider to maintain a desired speed (engine rpm) with the simple press of a button. 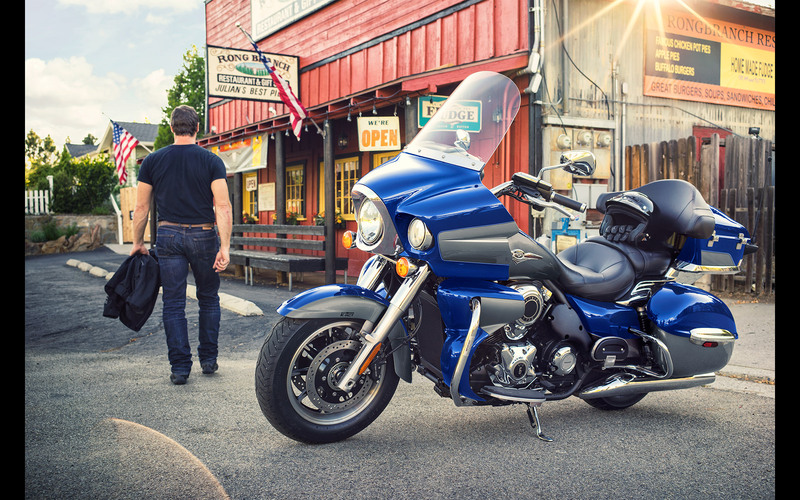 Because the rider does not have to constantly maintain the throttle position, this system allows relaxed cruising. 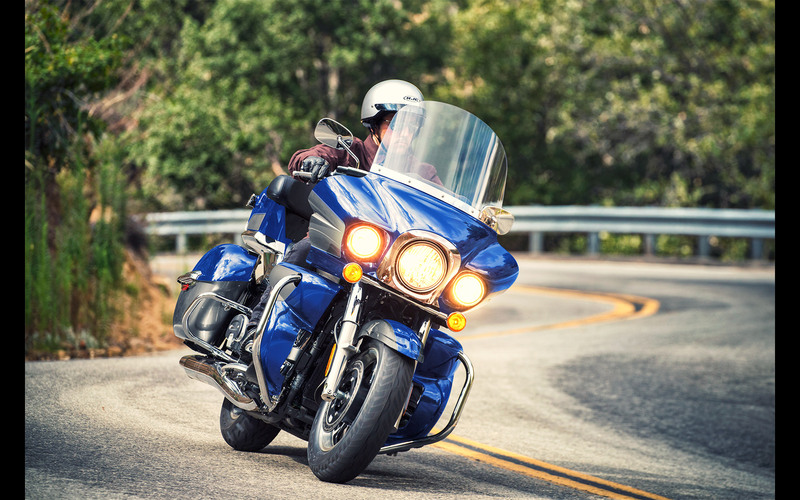 Electronic Cruise Control allows the rider to maintain a desired speed (engine rpm) with the simple press of a button. 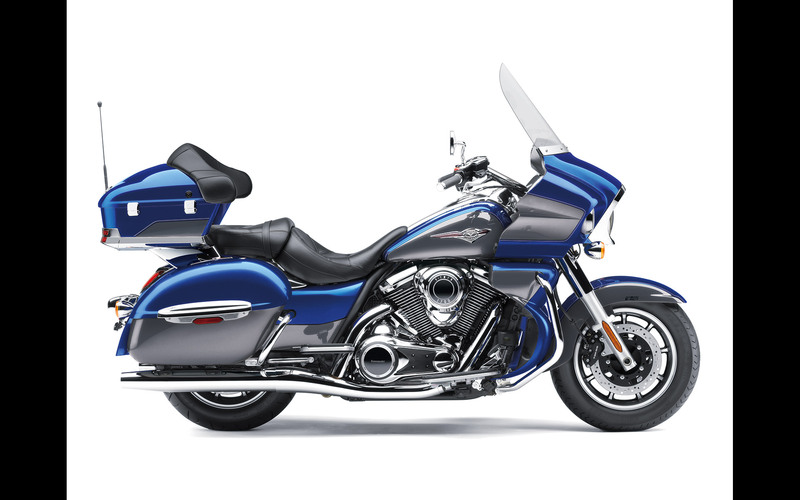 Because the rider does not have to constantly maintain the throttle position, this system allows relaxed cruising. This reduces stress on the right hand when traveling long distances, contributing to a high level of riding comfort. 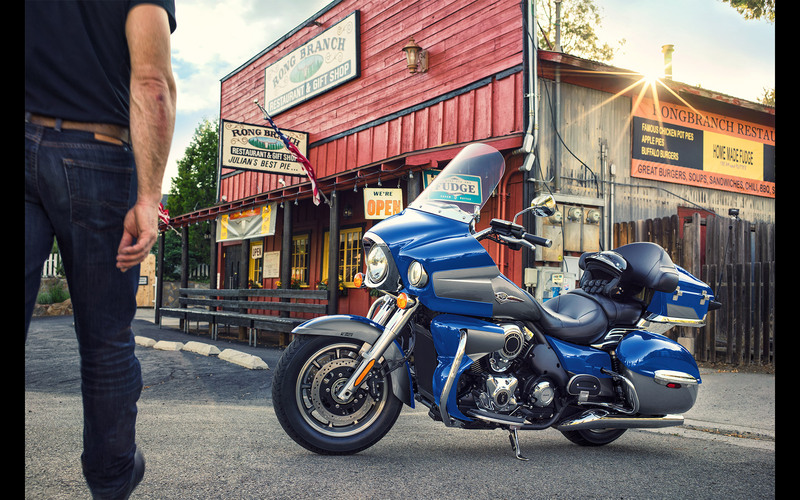 Electronic Cruise Control is featured on Kawasaki's Vulcan 1700 / VN1700 Series cruisers and Jet Ski Ultra 300X and 300LX personal watercraft series. 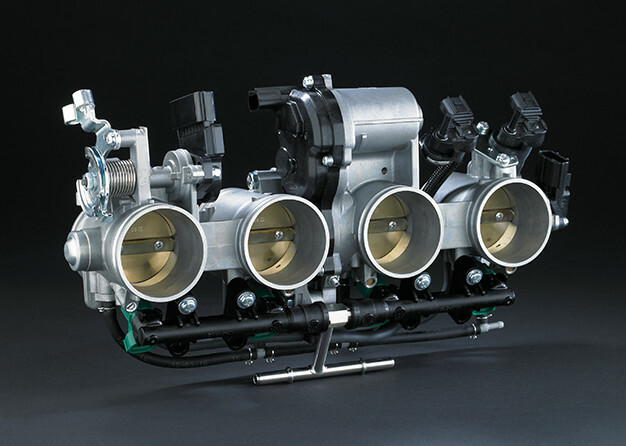 These models are equipped with an Electronic Throttle Valve system, meaning the throttle valves are not actuated directly by twisting the throttle grip (or pulling the throttle lever); rather, a position sensor on the throttle grip sends a signal to the ECU that determines the ideal throttle position. This is how Electronic Cruise Control is able to automatically adjust engine power to maintain vehicle speed when ascending or descending grades in the road. 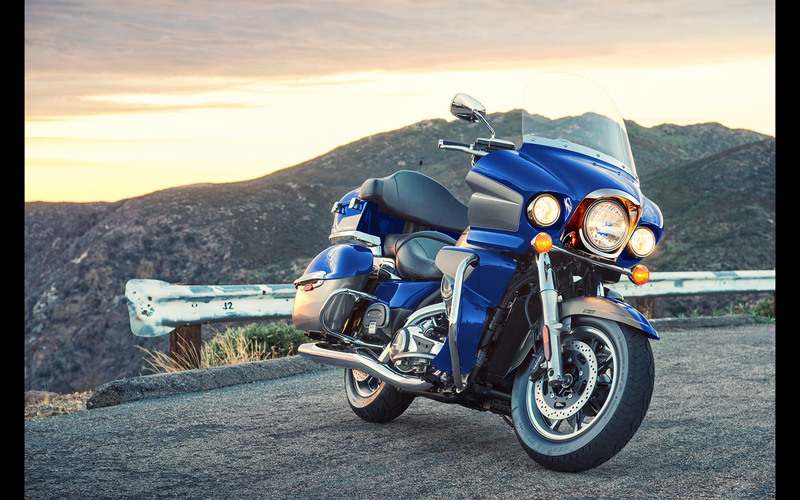 Without the precise control enabled by Electronic Throttle Valves, functions like Electronic Cruise Control would not be possible. At its heart, K-ACT ABS is an Advanced Anti-lock Braking System, designed to prevent tires from locking up during braking. 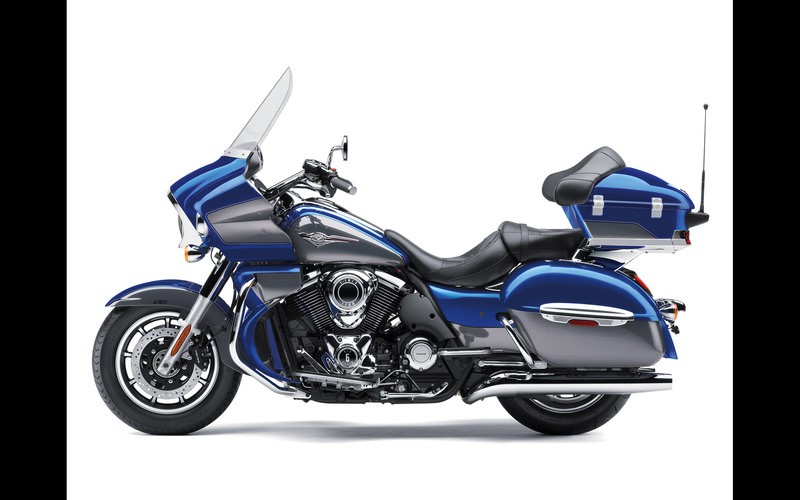 But K-ACT ABS was designed for use on touring models weighing in excess of 300kg (660 lbs) – and that is before adding a passenger and/or luggage. 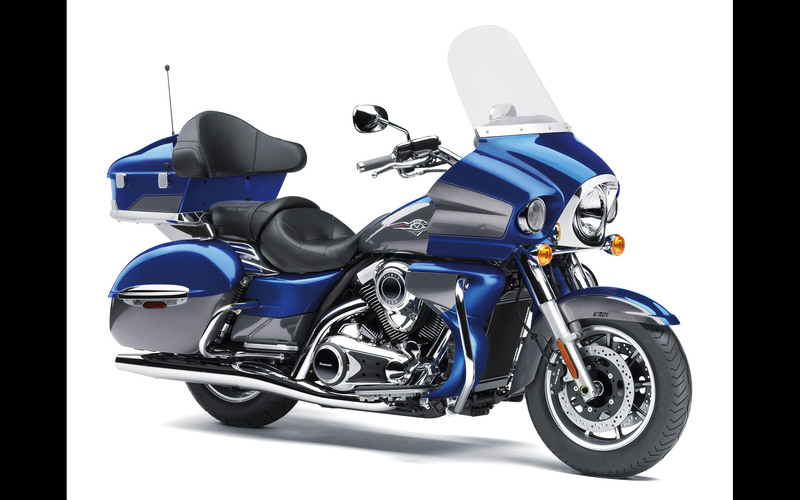 For example, imagine the rider pulls on the front brake lever. 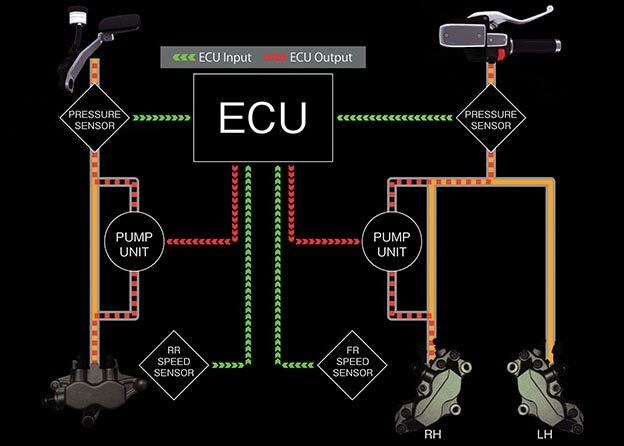 To keep the bike from pitching forward, the ABS ECU actuates the rear brake (via fluid pumps) to ensure that front-rear balance is maintained. Should the rider push the rear brake pedal, the system actuates the front brake as well, to distribute the load more evenly and prevent the rear wheel from locking up. 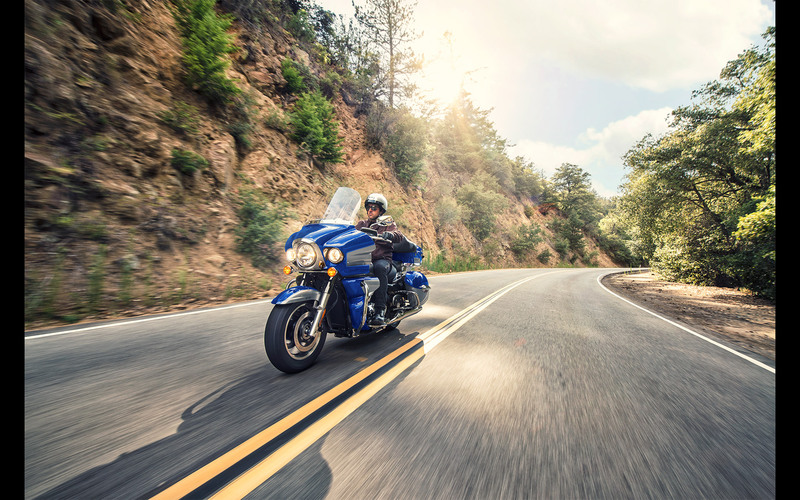 Based on the vehicle speed, K-ACT decides the optimum hydraulic pressure to send to each caliper, ensuring stable, confidence-inspiring braking performance even on a heavy motorcycle.